For a company that wants to use an ERP system, it's important how the solution is deployed. 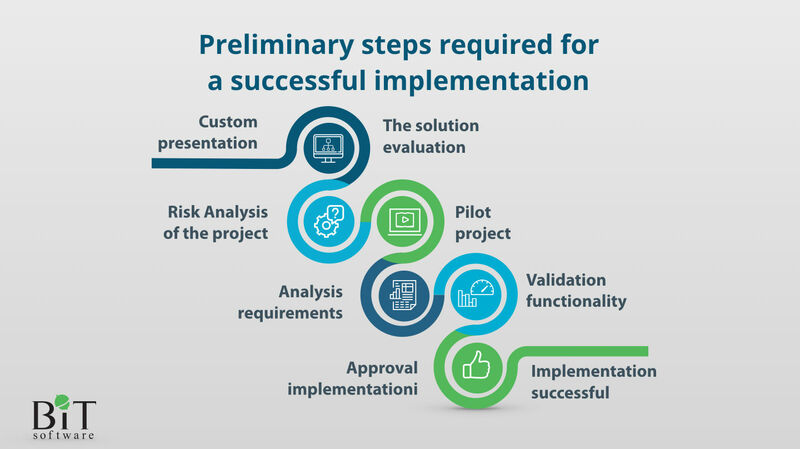 Our specialists offer a value assessment that provides you with a prototype that meets your business requirements, a risk analysis before signing the contract and the possibility of running a pilot project in order to validate the system’s functionality and decide to go / no-go further with the project. Contact us today to understand the costs of the integrated system and benefit from a personalized presentation to ensure that you have an integrated system that suits your requirements and a rigorously planned implementation before you start the project. The selection of an ERP software packages is still done in a similar way as thirty years ago. Based on a list of requirements and after some demonstrations of the software, a choice is made out of several products. The contract between the vendor and the company for buying an ERP system is usually closed with the management of the company. However, during the implementation many discussion could arise from users, complying with the agreed ERP features. In many cases this phenomenon leads to undesired behaviour, such as development of unforseen customizations and forced changes of organization processes. Budgets and timing are exceeded and the users are not satisfied. An implementation project of an ERP system always is a change management project. An implementation has many consequences for the way of working of a lot of employees in the company. This means that the interests of the employees and the company need to be aligned. 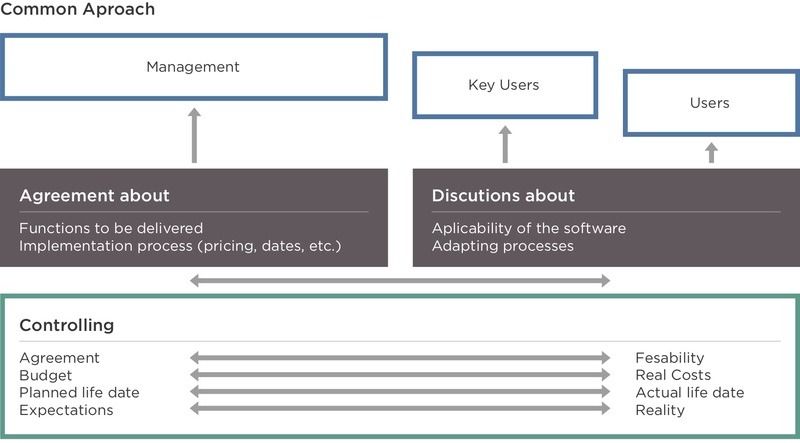 BITSoftware introduces a lean implementation methodology, knowing that the performance of an organization is determined by its construction model. It involves processes, an interaction between the actors in the organization and the organization itself. The models offer better transparency when it comes to mapping the ERP software solution in the organization, providing information about the applicability of the solution in the company, and about possible problems the system needs to solve. Even though the organizational model is specific to each company, SocrateERP already includes some industry-specific models, making implementation faster and easier.